I’m sure you have heard of myths about sushi. But is it true? 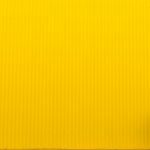 I’m going to debunk 6 common myths that foreigners have. When I see people first time in Canada, I’d introduce I’m Japanese. I think there is a stereotypic notion that Japanese equals to sushi, or vice versa. Do you think I eat sushi everyday? I love sushi and I do eat sushi but not everyday. Some people love sushi so much and might eat almost everyday. However, it doesn’t apply to all Japanese. Some people might eat sashimi everyday because they live near ocean. Moreover, I don’t know how to make sushi. Only sushi chefs know. When you say sushi in Japan, it implies nigiri and sashimi and doesn’t include fancy rolls you find in North America. Some people say that they love sushi because it’s healthy. I think sushi is healthy food in “general” except fancy rolls. In the U.S.A. and Canada, there are various sushi rolls. Some rolls are like art due to their colour and how they are presented. But it’s also true that some rolls have mayonnaise, teriyaki sauce and deep fried prawns, etc….. If you eat those rolls often, you would gain the excessive calories. Of course there are simple rolls such as cucumber rolls and tuna rolls. Those are pretty simple and healthy. 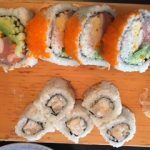 Why is sushi popular? Learn more about sushi here. I’m sure you have seen female sushi chefs outside Japan. What about in Japan? I’ve never seen female sushi chefs in Japan as traditional chefs are male. It’s pretty much male-dominant and no female is allowed to make sushi in such restaurant (it especially applies to high-end restaurants). There are some female chefs but the number is way small compared to that of male chefs. Some people argue that female chefs are not appropriate to make sushi because their body temperature (meaning their hands) is higher than male chefs. They claim that lower temperature is better and men tend to have lower body temperature. Sushi is written as 寿司 in Japanese. What does it mean? It’s said that Japanese didn’t use 寿司 at the beginning of sushi history. SU (酢：す) means vinegar and SUSHI (酸し: すし) is a different form of SU. It means to use vinegar. Because sushi rice uses vinegar, it was called sushi. 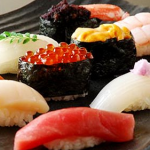 Some say that sushi is from SUMESHI (酢飯: すめし), which means rice with vinegar. According to them Japanese used to say “sumeshi” then became sushi over a long period of time. Modern Kanji “寿司” just appeared during Edo period. It literally means ruling longevity and doesn’t mean vinegar at all. I’m not a strict sushi lover but when I see people dipping sushi into soy sauce and the rice changing colour into black, I feel very sorry for sushi. Yes, I use soy sauce and so do other Japanese. My point is some foreigners put too much soy sauce as if they are eating soy sauce, not sushi itself. They can do whatever they want but Japanese chefs won’t be happy if they do that in high-end sushi restaurants. Try to dip a little bit and enjoy the taste of fresh fish! 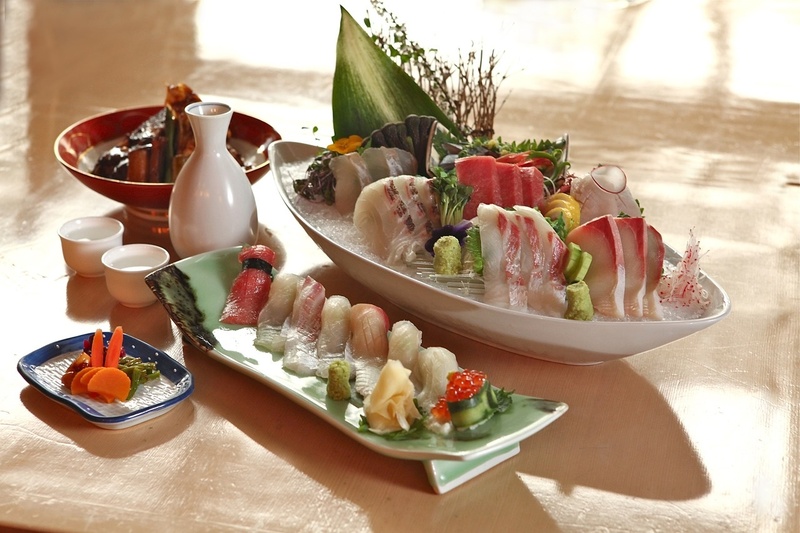 Nigiri comes with rice (sumeshi: 酢飯) and chefs cook it very carefully. It’s not just rice and vinegar. It’s a part of their sushi so they have to cook perfect rice. The amount of water, vinegar and how they cook is very crucial. I found the news the other day and people argued how a girl ate sushi. She ordered nigiri (sashimi on rice) but didn’t eat rice and left it. For sushi lovers, it was not acceptable because rice was a part of sushi. They argued that she should have just eaten sashimi instead of nigiri. I totally agree! To conclude, rice plays a very important role on sushi world. 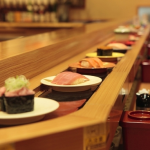 Sushiya (sushi restaurant: 寿司屋) in Japan is a formal place and could cost a lot. 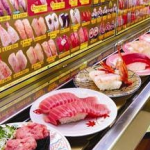 Some sushiya have very expensive fish and alcohol. I miss Sushiya in Japan because it’s different from here in Canada. It’s more private and formal. 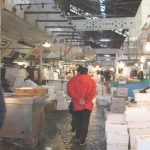 They have various fish, shellfish and alcohol. You can enjoy fresh sushi with tea, sake or beer.